Mike and Simon King filmed as the wildlife cameramen, detailing the animal stories in the series. Mike also presented a couple of pieces with Kate Humble. Afriscreen set up all the complex elements for the underwater 3D elephant shoot, at a very remote location in the Okavango delta. Mike was location manager, scientific advisor and elephant wrangler! Mike filmed a large proportion of the wildlife sequences which were not part of the fixed location set-up. In this brand new, epic series exclusive to Discovery Channel, adventurer and survivalist Ed Stafford is back, pushing his survival skills to the limit. Kate Humble and Simon King report from Zambia, following the lives of the animals living along the Luangwa River at a critical time in the seasons. It hasn’t rained for 7 months and every animal, large and small, is locked in a struggle to survive – the elephant and her new born baby, the tiny lion cubs threatened by a power struggle in the pride and the hundreds of hippos and crocodiles squashed uncomfortably close as the river bed dries up. 75 cameras capture every moment as it happens through the last days of the longest dry season in memory to the arrival of the rains that will change everything. Enchanted Kingdom, the 3D movie, is the most ambitious 3D nature film ever, taking you on a spectacular, spell-binding journey through Africa to discover the wonder and magic of Nature. Created with ground-breaking filming technology, where Hollywood techniques meet the best in nature filmmaking, the film is an immersive adventure, transporting you from grey urbanity to the vibrancy and vitality of nature. 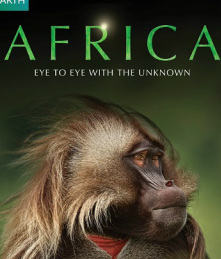 Travel through seven distinct realms in the wildest continent on Earth, Africa, to meet amazing creatures and experience nature as never before, and discover that the real world is more extraordinary and awe-inspiring than any fiction. Hippo: Nature’s Wild Feast is a high-tech natural history event that presents the most comprehensive illustration to date of nature’s food chain in action. Filmed over a week in Zambia’s Luangwa Valley, Hippo: Nature’s Wild Feast reveals an ecological system in action as Africa’s most iconic animals – including lions, leopards, crocodiles, hyenas and vultures – fight for survival at the height of the dry season. Afriscreen was the fixer and facilitator for two Episodes of the 2013 season, filmed in Botswana. We employed hundreds of people and handled all the very complex logistics for this few weeks of organised mayhem. Amazing Race won the Emmy again! The series uses cutting edge camera technology to explore how nature inspires human innovations. It highlights how animals from all corners of the earth inspire engineering solutions for the modern world. The series demonstrates the ways in which engineers are putting the lessons learned from wildlife into practice. For example, Hammond heads deep underground to discover innovative methods of communication that miners are adopting, based on the behaviour of elephants that can ‘talk’ to each other from several miles apart via low-frequency sound signals.